Reclaiming Your Teenage Fire is a truly powerful weekend in which a group of men come together to get REAL and remove the masks they present to the public. It is often life-changing for the men in attendance and the value of this experience is immeasurable! Congratulations on taking this step into confidence and accountability for being the good man you WANT to be. Our upcoming Reclaim Your Teenage Fire (RTF) will be held on the weekend of Friday, June 22, 2018 at 7 PM and ends the following day (Saturday, June 23, 2018) around 2:00 PM. Through this transformational training, you will come face to face with the triumphs and tragedies of those years. The first-time events that defined your transition to manhood: first car, first job, first love. By appreciating these years, you will have a deeper understanding of what you needed and in turn, provide that for the young men in our Boys to Men community. Be a better partner, father, mentor, teacher, creator and leader. Join us to Reclaim Your Teenage Fire! *Food is provided, but we do ask that each participant bring a casserole or something similar to SHARE with the group on Friday night! This event does not charge for participation, but donations are welcome! 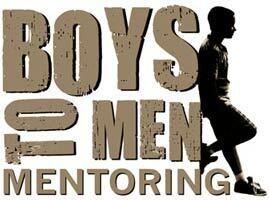 EMAIL MENTOR COORDINATOR MARCO RODRIGUEZ AT MARCO@BOYSTOMEN.ORG FOR MORE INFORMATION.